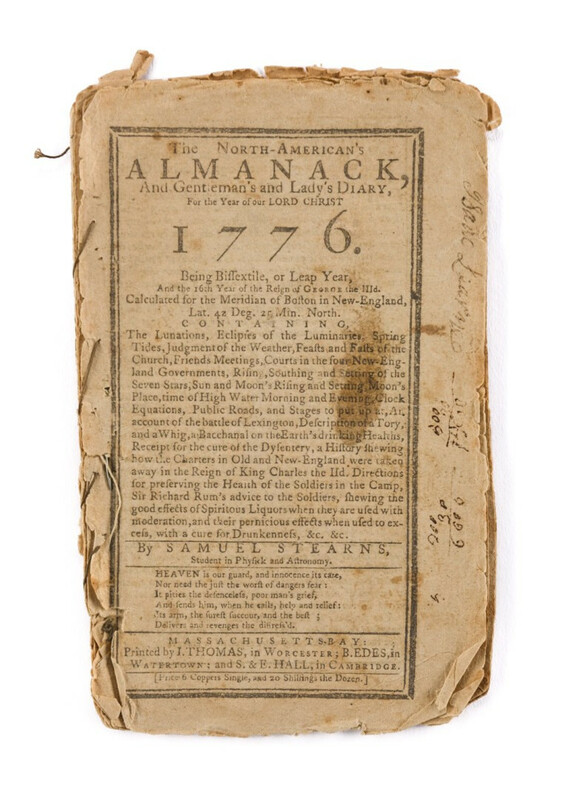 THE NORTH-AMERICAN'S ALMANACK, AND GENTLEMAN'S AND LADY'S DIARY, FOR THE YEAR OF OUR LORD CHRIST 1776 by Samuel Stearns (1741-1810), printed by Isaiah Thomas, Worchester, et al. Octavo, self wrappers, 18 double-sided pages. 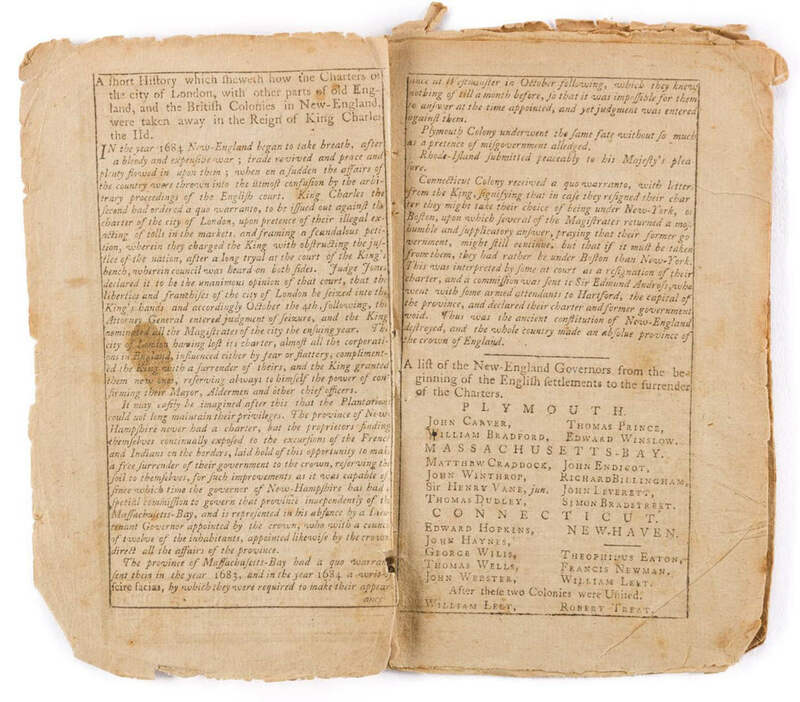 Includes, An Account of the Commencement of Ho(s)tilities between Great Britain and America, in the Province of Massachusetts Bay, written by Rev. 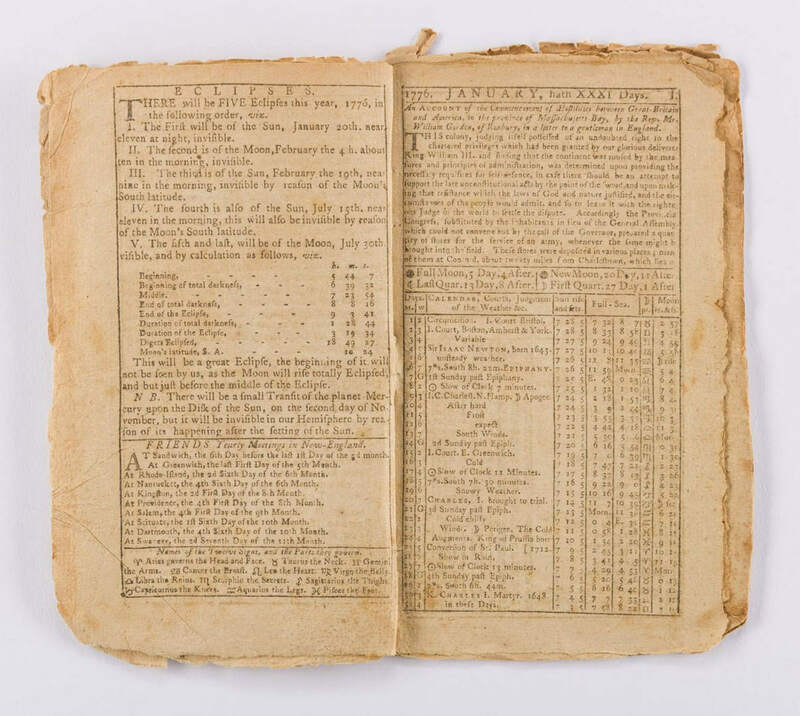 Mr. William Gordon, of Roxbury [MA], in a letter to a gentleman in England, printed in sections above each of the twelve calendar pages. 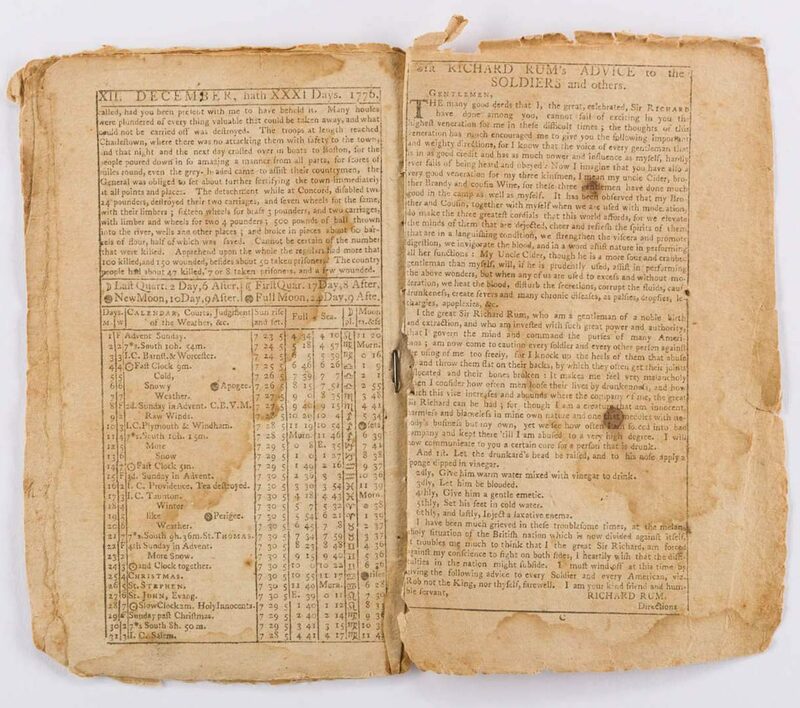 While Gordon was not present for the Battle of Lexington, he interviewed several people who were present and wrote his account based on their information, with some details and rough estimations on the death count for the Battle of Concord. 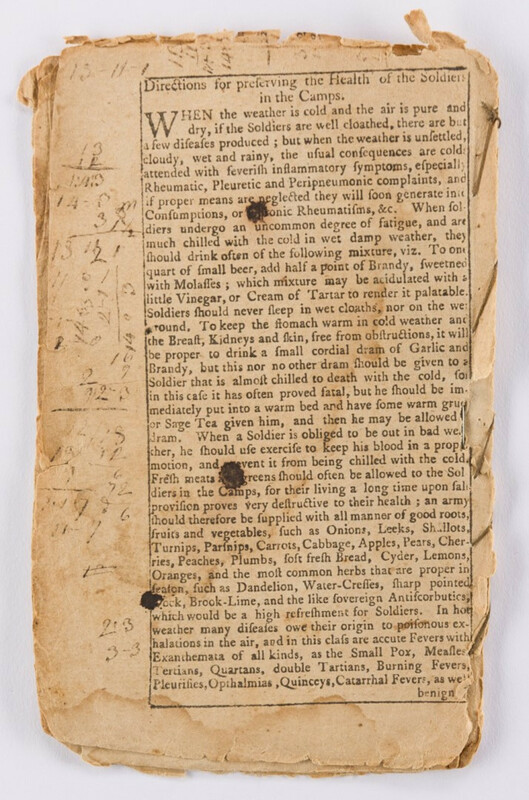 Almanac also includes Sir Richard Rum's Advice to the Soldiers and others and Directions for per(s)erving the Health of the Soldiers in the Camp, recto and verso of final leaf. 7" H x 4 1/1" H. Provenance: Property of a private Knoxville, TN collection. CONDITION: Overall good condition. Stitching replaced with old thread and pushpin, otherwise intact. 1 1/2" brown stain and personal inscriptions, front leaf, stain visible en verso. Areas of dampstaining, later half of almanack, printing still visible. Three 1/8" black stains and personal inscriptions, final leaf, two of the stains visible en verso. Areas of toning, foxing spots, tears, to be expected from age.